Some three million dogs are relinquished to shelters each year in the USA. And the hard truth is that not all of those dogs will survive the experience. Young dogs are more likely to be re-homed by potential rescuers than senior animal shelter dogs, and old age has been a factor that puts people off adopting a pet. There are things we can do to improve a dog’s chance of being adopted, even when it is old and grey. And a new study has looked at the different factors that can have an impact on whether or not these deserving elderly dogs have a chance of being found loving homes. The study looked at dogs and cats over seven years old that were taken into the Austin Pets Alive animal shelter in Texas over a period of one year. The APA specializes in taking in ‘at risk’ dogs from other shelters in Texas, it doesn’t take in pets relinquished by the general public. The shelter already has a reputation for offering a better rate of ‘live outcomes’ for dogs that are more likely to be euthanized in other shelters, and the idea of the study was to see if those outcomes could be further improved on. One of the observations made in the study was that the proportion of elderly dogs in shelters is growing. Overall levels of animals relinquished to shelters is falling. But more seniors are being relinquished compared with pupsters than was the case in the past. Fifty years ago, dogs with orthopedic problems were simply put to sleep. Now, expensive surgery, hip replacements, ligament repairs, etc, are all available. But not everyone can afford them. The study found that the condition of a dog when taken in to a shelter was a major factor in whether or not the dog was still there at the end of the year. For example, 26% of elderly dogs still in care at the end of the survey were dogs that had been classified on intake as needing further medical attention. Obviously pet insurance is the ideal solution. But if you don’t have it. You don’t have it, and once the problem has arrived it’s too late. There is undoubtedly pressure on uninsured pet parents to fund these treatments themselves. Treatments that often run into thousands of dollars. Supporting families in this regard could be a more effective use of charitable funds than housing, treating and rehoming the dog in a shelter. The authors refer to the “live-outcome oriented culture of APA” which they see as partly responsible for the death rate of older dogs with medical problems. But the authors suggest a shift in attitude so that funds are allocated equally to all dogs that are not terminally ill.
Fourteen of the dogs were classified as terminally ill on intake and these were all euthanazed. But so were four others. Three of these needed medical attention. The fourth was deemed healthy on intake. 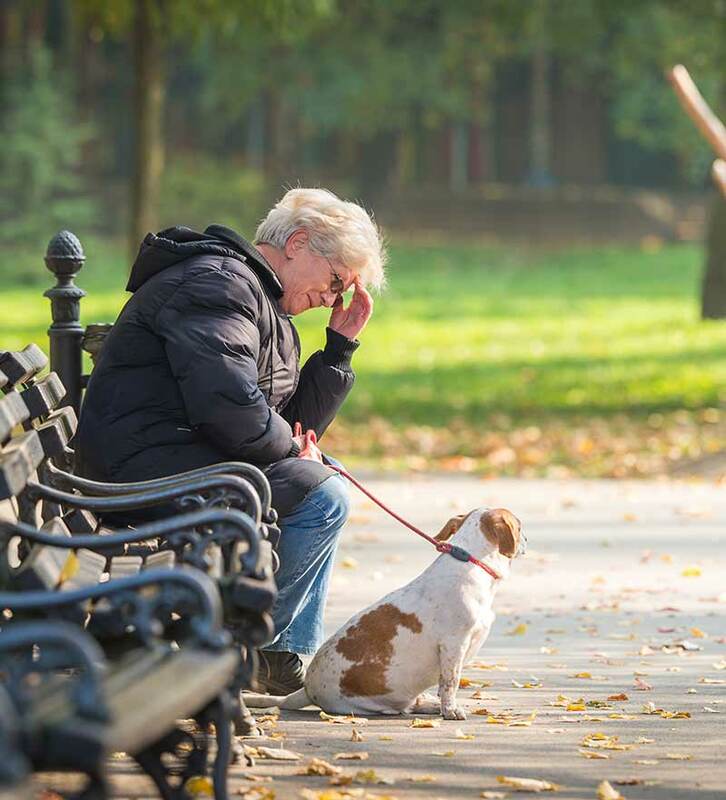 Many people worry that if they adopt an elderly dog, they will be burdened with veterinary bills, and may have to nurse the dog through health problems. There is also the legitimate concern that family members will be upset when the dog dies. One of the main reasons for dogs in general to be relinquished to shelters is behavioral problems. Aggression is a particular concern. Most dogs entering shelters fall into the age group where these problems peak. As young adults. Most behavioral problems don’t remain hidden for seven years and then suddenly appear. So dog that is relinquished as a senior is less likely to fall into this category. 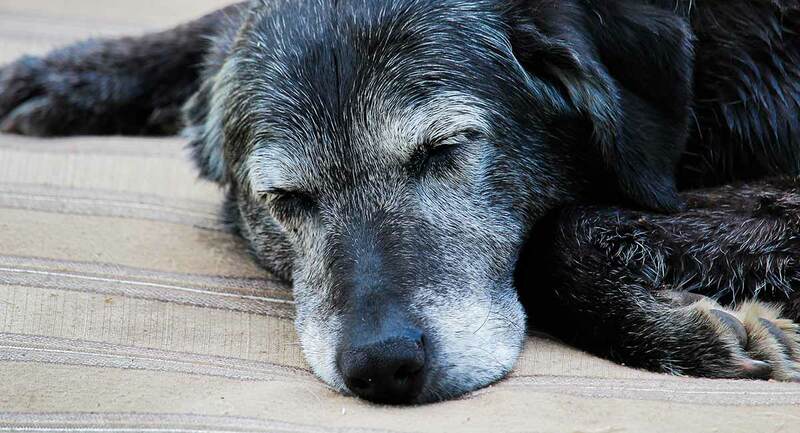 Most older dogs still have many years of healthy life ahead of them. They are often calmer than young dogs and many will have had some training. 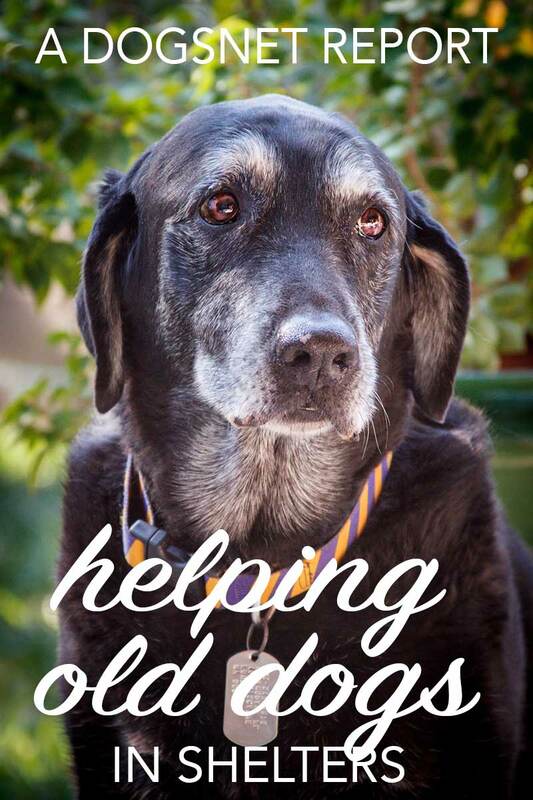 Many families get great satisfaction and pleasure from giving an old dogs a safe and loving home in which to spend the last few years of his life. Elderly animals are at greater risk from dying in shelters. Both from treatable medical problems and from illnesses acquired during institutionalized care. The overall conclusions from the study are that shifting the allocation in funding to allow more elderly dogs access to foster homes and to medical treatment would improve matters. Supporting foster carers in keeping relinquished dogs out of shelters would help reduce the risk of acquired infections. Supporting sick dogs in their own homes is another important strategy to consider. And allocating funds to the medical treatment of older dogs is key if more animals are to not only survive, but also to become ‘adoptable’. Of course these are not easy answers. There probably are no easy answers. Raising money and choosing how to allocate it are very challenging processes for any non-profit organization. As is often the case in life, animal charities could do far more if they received more funding. Even a small amount can be a big help. Hawes S et al 2018. Factors Informing Outcomes For Older Cats and Dogs In Animal Shelters. Animals.